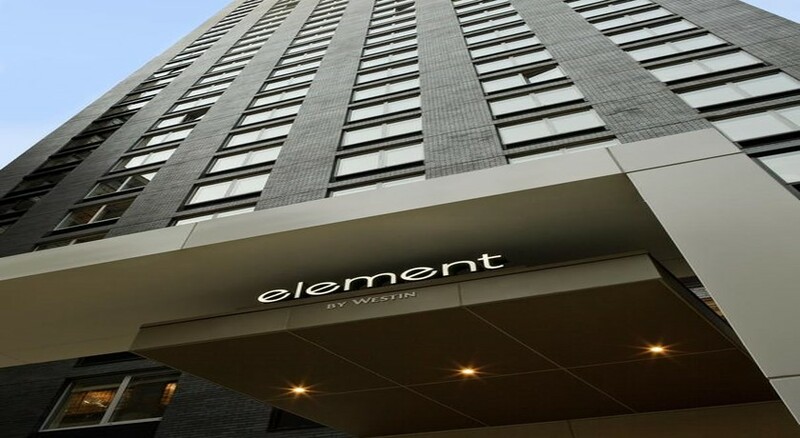 Element New York Times Square West is an excellent accommodation choice in the heart of NYC, barely 1km from Times Square. 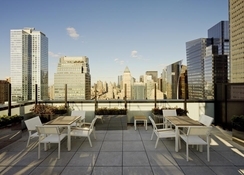 With an enviable location in Manhattan, this non-smoking hotel is full of modern amenities where guests can stay for a night, a weekend layover or longer. 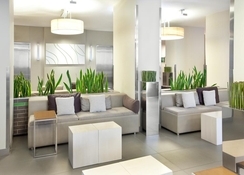 The hotel is pet-friendly and boasts of open-flow rooms and suites. 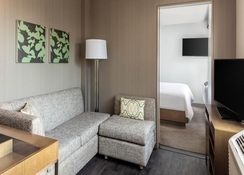 The modern, contemporary guestrooms are done up in elegant decor and offer excellent views of the city’s skyline. 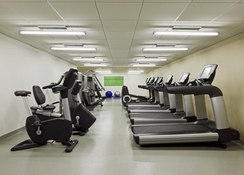 Guests can recharge their batteries by working out at 24-hour Motion: Fitness Centre, relish a complimentary continental breakfast, or grab a snack from the Restore Gourmet Pantry. The hotel offers high-speed free Wi-Fi and bicycles for hire to explore the neighbourhood. The property is within walking distance of several iconic Manhattan landmarks including Central Park, Macy's and Radio City Music Hall. Madison Square Garden is barely 500m from the Element New York Times Square West. The hotel’s surrounding area, which hosts Hell's Kitchen, is a great draw for anyone looking to dine, spend time sight-seeing, enjoy a play or two at a theatre, etc. The area is also great for shopping, thanks to the high end boutiques and popular brand shops such as H&M, Forever 21, etc. The buzzing Times Square, one of the world's most celebrated attractions in NYC is only a few minutes’ by walk. Guests of the hotel can enjoy sporting events and concerts at the Madison Square Garden or simply take a lazy stroll in Central Park. The Rockefeller Centre is 1.6km from the hotel. 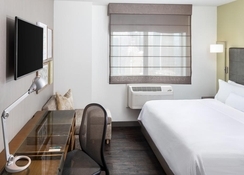 The modern guestrooms at Element by Westin Times Square are spacious and offer excellent city views. These non-smoking, air-conditioned rooms come with a flat screen satellite TV, DVD player, iPod docking station, safe and free Wi-Fi. There is a kitchenette furnished with a refrigerator, dishwasher, toaster, microwave and coffee maker. For children a crib/ play yard can be requested. The en-suite bathroom comes with a hairdryer and bath amenities. The guestrooms also feature Heavenly Bed®, which is sure to offer guests a relaxing sleep at the end of a busy day. There is a kitchenette furnished with a refrigerator, dishwasher, toaster microwave and coffee maker at Element New York Times Square to enable guests to cook meals as per their convenience. The hotel offers a complimentary buffet breakfast at Rise: Breakfast Bar wherein you can order sandwiches, fresh fruit and pastries, alongside healthy smoothies and steaming coffee. Guests can also head over to Restore: Gourmet Pantry for a snack to grab round the clock. The hotel has a sun terrace with outdoor furniture where you can sip coffee, look at the skyline and browse the day’s newspaper. The hotel offers complimentary high speed Wi-Fi. Catch your favourite play or musical at any of the many theatres in Theatre District or stroll in the Central park to feel refreshed by nature.